Lift OFF we have a lift off! 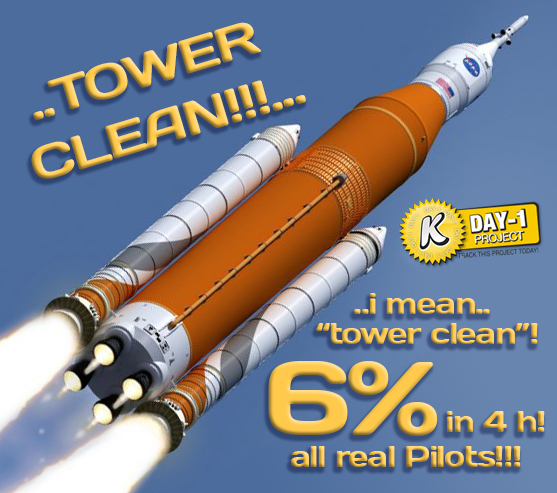 ..huston we have a lift off..
....aaand Lift Off, we have a Lift Off! we are live on Kickstarter NOW! Do not have a kickstarter account yet? 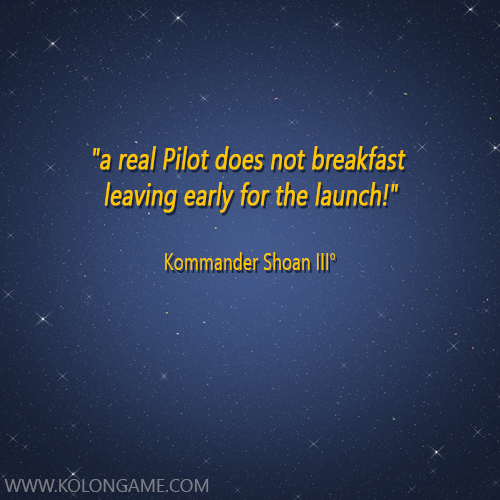 It's time to jump aboard your Soyuz Pilot! 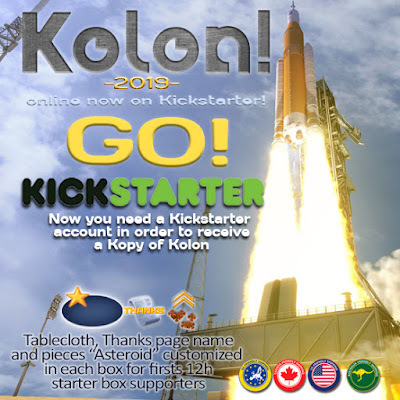 ...customized "Asteroid" pieces in each box for firsts 48 h supporters!!! The time for crop circles is over guys! 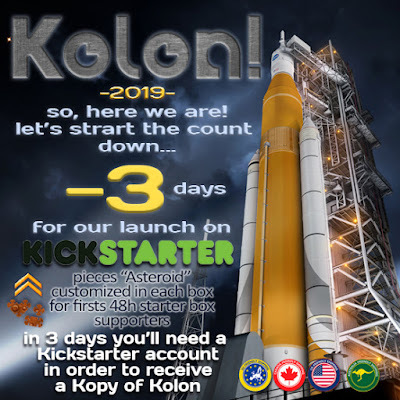 prepare your kickstarter account and get ready! if you do not have a kickstarter account yet, this is the time to get it! 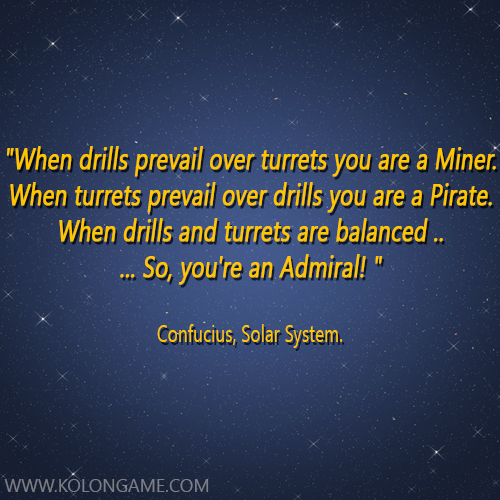 Starting secondary systems: Go! Preparing cookies and chocolates: Go! ..do not forget your towel!!! .. Motor: Go! Systems: Go! Telemetry: Go! FREE SHIPPING IN ALL THE SOLAR SYSTEM!!! 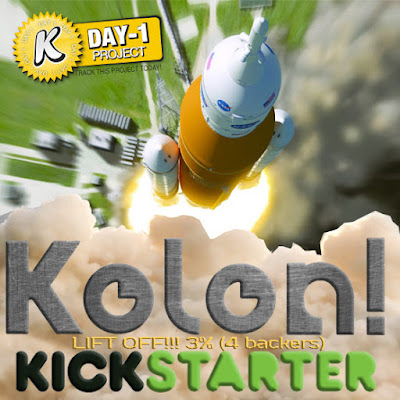 We can NOW finally mount KOLON on the launch pad of KICKSTARTER !!! 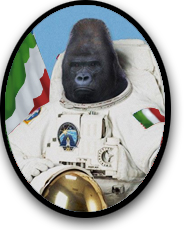 After long spacetime travels, with a crew of humans as brave and smart as you , dedicated to the noble art of orbital navigation. After surviving several hard, very hard battles and risking many times that the KOLON project wrecked. After almost two terrestrial years full of fun evenings in company and unforgettable moments of great victories and endless joy. And soon we will be back on Kickstarter! This might seem obvious, but we can assure it's not. This blog, for instance, could never have survived so far without the passion of, in particular, SigirW56 (Riccardo Scalone), Dam the monk (Damiano Tatulli), the Drugo (Daniele Ridolfo) and Karmelo (Carmelo Tidona). The whole KOLON boardgame could never have survived so far without the passion of this dozen of humans we call Crew, and of all those who more sporadically approach it. Everyone had fun at our tables, everyone always left them enthusiast for the game. "nothing to envy to more mature games"
It is true that KOLON is only a prototype of a boardgame, and it could not hope for a more joyous welcome from humans, but our energies aren't endless and we cannot take care of the campaign and this blog at the same time. It was our passion, as well as yours, dear reader, to bring you here (not mentioning all the technology needed to develop the internet, your clothes and so on..). Now that KOLON is about to celebrate its 10th year of existence, at conceptual level, on this planet, we have to suspend publications on this blog (which has been online for almost two years). We need to retire for an indefinite time into our space shipyard near Uranus and work to the incoming Kickstarter campaign. 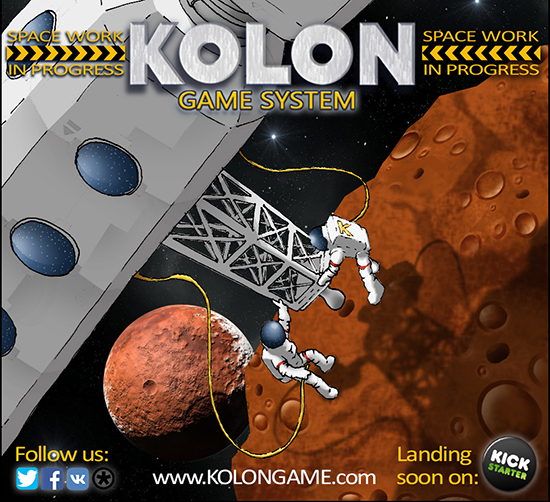 We strongly hope that our next post will be the countdown to the start of our second Kickstarter campaign. 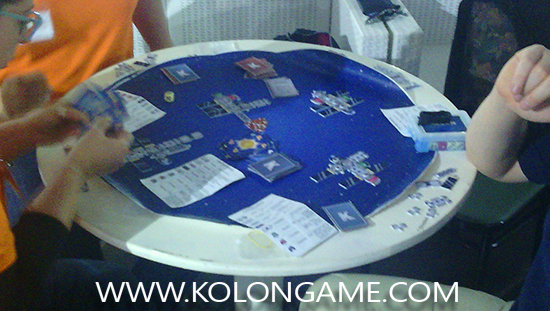 We are a real Kickstarter, we always finance ourselves (the way we self-financed our prototypes). We do everything on our own, so if you want to help us before the campaign, you may donate here, or share us with your friends when the campaign starts. 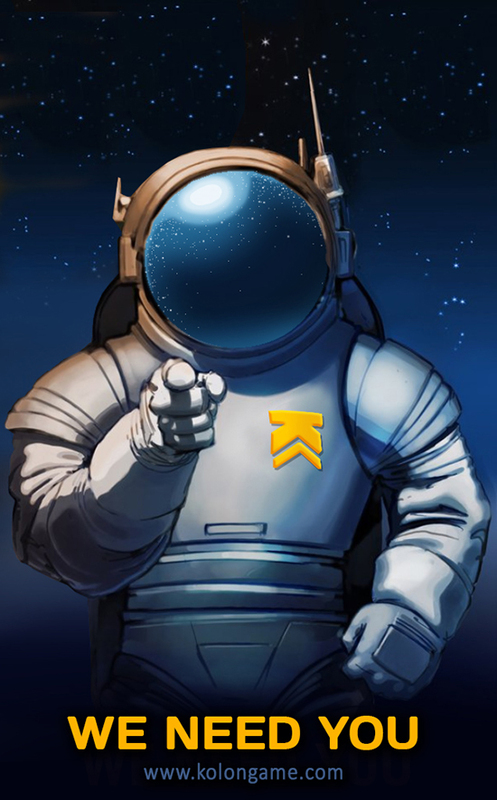 We will need your help, Pilots! P.S. : Interrupting a contact of the second kind we will not hide the fact that we risk losing communication for good. In casa that should happen: So long and thank for all the fish! 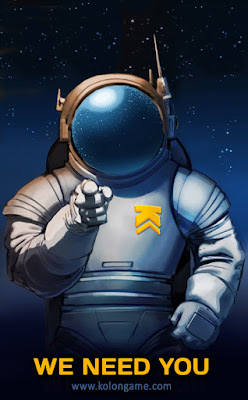 As of today (24 Octember '42, kasvagorian date) Terrestrials have discovered and confirmed exactly 3.700 planets outside their system. (here the list). 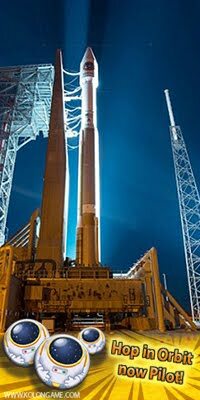 Most of them thanks to their Kepler telescope that, framing a little portion of the sky for a long time, found about 3.000 confirmed planets just in an area between Cygnus and the Lyra as large as the nail of your thumb at the end of your extended arm. There are things humans know and should know. There are also many more things they should know, but don’t know. Some of the things they know, they should not know at all. Finally, there are things humans do not know and that they’d better keep not knowing. If we did not get in touch more often lately, there are serious reason you do not actually need to know. Recent diplomatic developments on the Norma-external front of the of the Scutum-Centaurus Arm will presumably not have good consequences for the primitive people of Orion’s Arm, like you. These are things you should know, but do not. 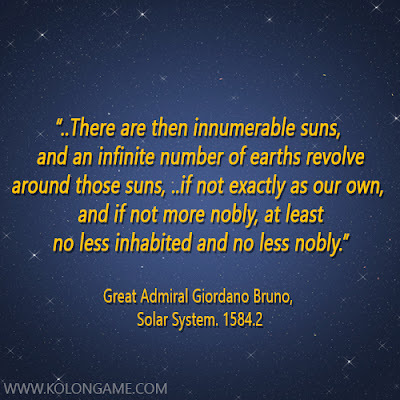 In particular, the Kasvagorian, Human and Buntu species, unless they get a move “removing their pants from the fire”, as Waart Trappists used to say, risk seeing their systems literally "bulldozed", as they say on Earth. 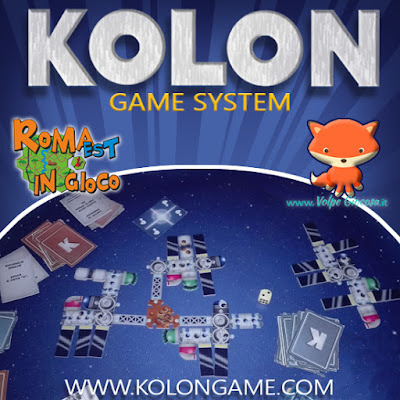 On our side, as Galactic Council, we are doing our best to bring to your planet some instruments, first of all KOLON, that can help you go past the evolutionary “cul-de-sac” you might have got stuck into. Help us with a fb Like and start tw following, share our contents and invite vk friends. 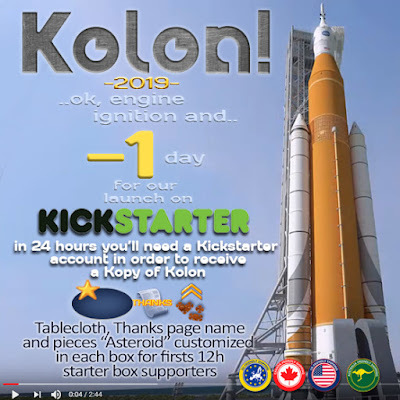 We are gathering energy to fund our return to your system (propeller fuels is expensive, if you want to give us some you can do it Here (paypal.me), we will invite you to come straight to the command deck). Soon, very soon, we will be back to your native system. Help us prepare the ground, Kolonist! Have a good solstice day humans! Every species of the galaxy has its own customs, beliefs, and myths. The most primitive species has always celebrated the passage to the periapsis of their home planet in different ways. Following traditions sometimes really absurd. Just think of the gastropods of Vergon 6 that engage the largest (as useless) mass migration of a sentient species known in this galaxy during this recurrence: They travel an exact turn around their planet only to return to the point of departure. 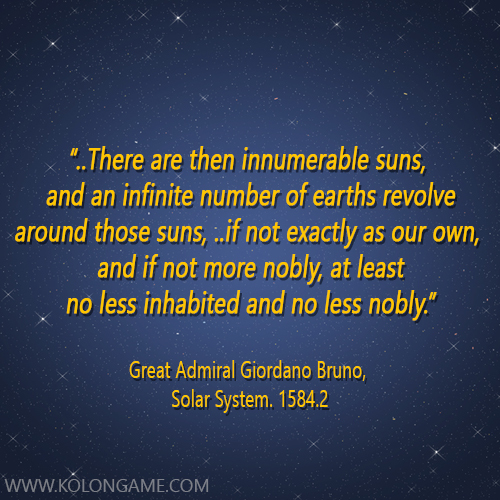 Or rather unfortunate destinies dictated by evolution as happened to the Jornionians of Sutrano-f that, poor things, can wake up from hibernation one night (the only one on their home planet) every fourteen terrestrial years and do EVERYTHING on their periapsis night (for you would be the solstice day) .. Awake Jornionians are certainly stressed and difficult to date people. You are not as much unlucky, dear humans, your traditions are not so strange (you are very unlucky from other points of view, for example you can not taste sounds like the Jornionians do, or the fact that you are going quickly towards self-extinction, but this is also your fault). 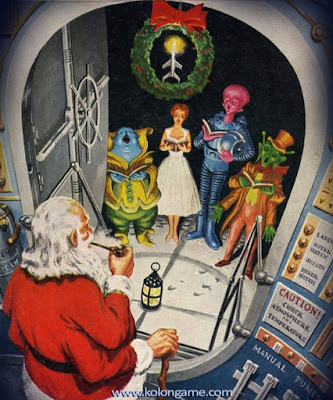 So: Have a good solstice day humans!, a good passage to perihelion, a merry Christmas and happy new year, ..or whatever you want to call it. 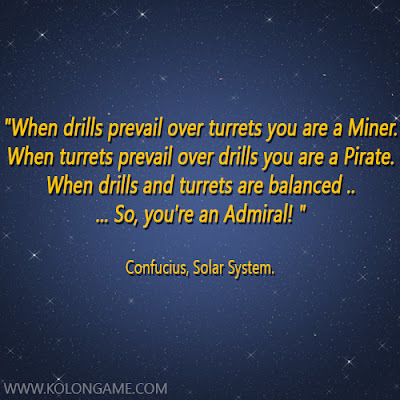 "...in this way the game can be offered to a wide range of players, from the hard and the pure to the newest..."
"...the mechanics have nothing to envy in more mature games and everything is well balanced..."
"...assembling and modifying your ship is something that a passionate of the theme can not fail to appreciate. Reassembling the ship with jigsaws pieces is fun. The mechanics are well-groomed and is engaging from the start." 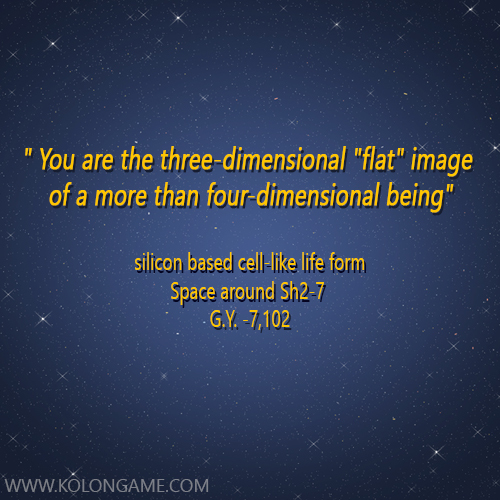 It is known that if the bodies of all of the human beings on planet Earth (a little more than 7 billions) were piled in a single place, the pile would be no taller than a kilometer and no larger than 600 meters. Not so much, all things considered, if we think about the ecological damages you have been able to cause to your planet. 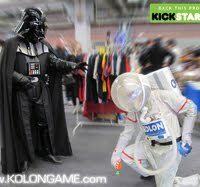 A similar case in the Galaxy for sure wasn’t the one of the Malutrasemmites of Joomila 6. This ancient – as much as unlucky – race of the Perseus arm had the misfortune to discover the secret of immortality before discovering space travel or any contraception method. Soon they were devouring one another on their hyper-populated planet. Fortunately you already are moving your first (albeit uncertain and limping) steps outside your already too polluted atmosphere. 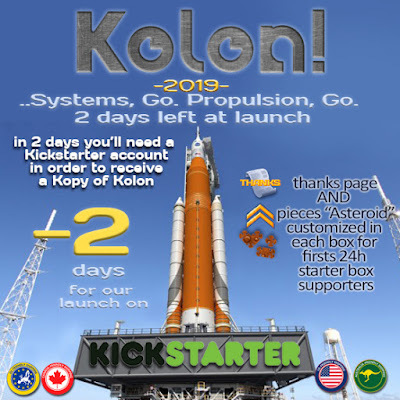 To help you do that in the most correct way (that is without going prematurely extinct) the Great Galactic Council sent you this sophisticated device for psycho-recreational development, that is KOLON. Yes, sure, a boardgame is not much, but it is the best we could do, balancing our hyper-developed technology and your as hyper-developed primitiveness. 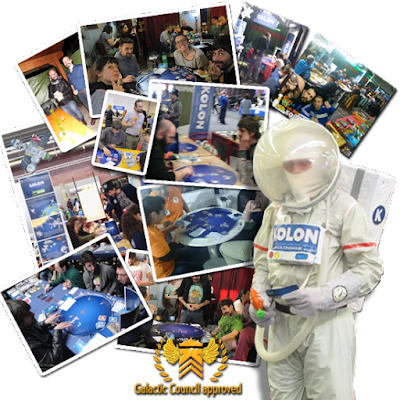 Unfortunately, the principles of the Friendship program of the Galactic Council forbid us to interfere with primitive races, so we need you to show your interest toward us, otherwise we will be forced to leave this planet to its less-than-rosy future. You have a wonderful chance to do play live on SATURDAY 14 OCTOBER (terrestrial calendar) in Via di Torrenova, 39a in the city you call ROME, Italy, (a nation in the boreal hemisphere of the planet you call "Earth", the third orbiting the star known as “Sol”, a really insignificant little yellow star in the middle of the Orion arm). 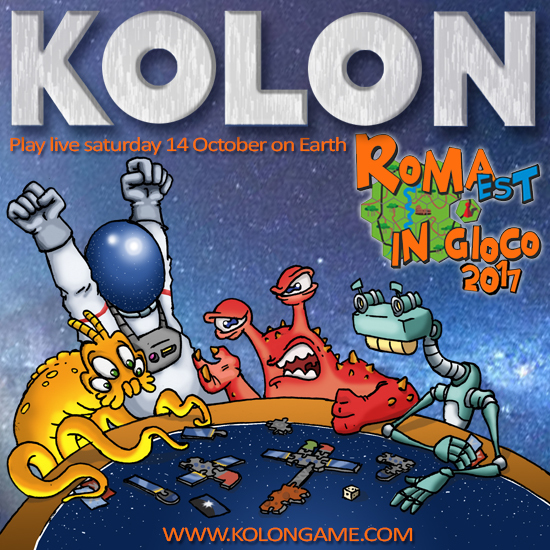 If you want to see KOLON (the new generation game of the millennium as well as the most widespread game this side of Laniakea) up close, you are officially invited to ROME, Via di Torrenova 39a, on SATURDAY 14 OCTOBER! We recommend you to sit up straight and always bring your towel along.